We have gained a huge popularity in the market creating the authentic array of Designer Handbags. They are available in many colors and design. Packaging Type: 7 PLY Carton, Transparent poly, Anti-fungus silica gel. Being a noteworthy enterprise of this industry, we are offering a wide spectrum of Hand Painted Leather Bags. 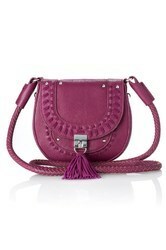 Embellished Cross Body Bag With Fringes. 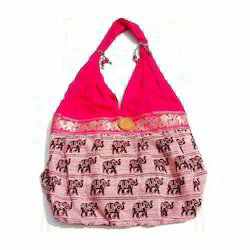 We are the dealing manufacturer and exporter of Ladies Cross Bag. We bring forth for our valuable clients an outstanding collection of Clutch Cross Body Beaded Bag that is made available in variety of shapes and designs. Manufacturer of Leather Cross Body Bag.